The economy looks bad, why invest? 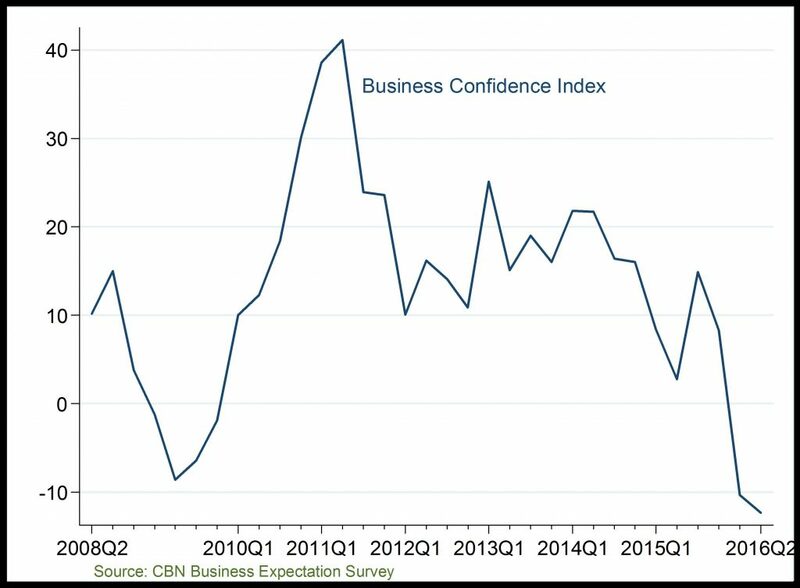 Business Confidence Index: After its peak in 2011, business confidence fell sizeably in 2012 as well as 2015Q2. 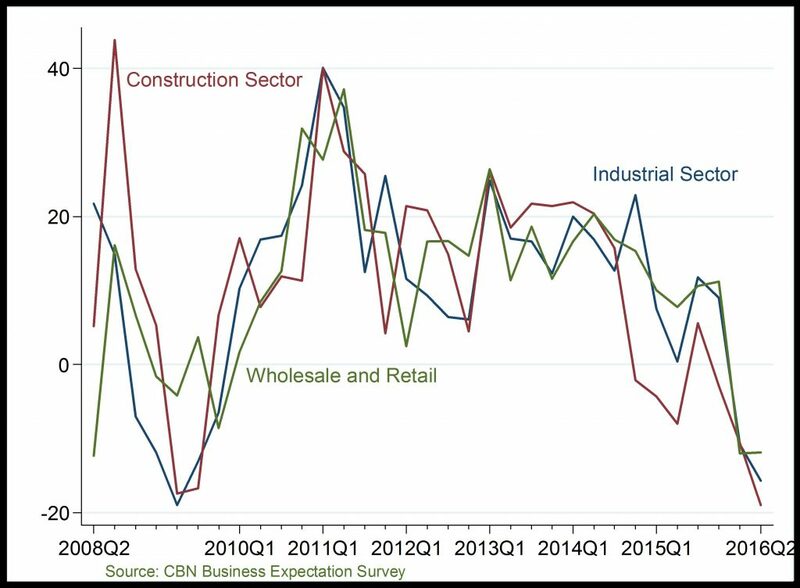 Most recently, BCI has declined to a negative levels in 2016Q1 and Q2. The recent decline in business confidence is attributable to general pessimism on Nigerias macroeconomic outlook and its effects of the volume of total order and their internal liquidity positions.